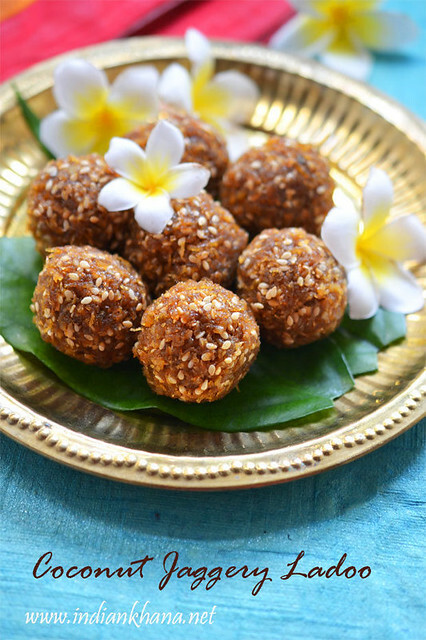 As I mentioned in my previous post of Green Gram Dal Sweet Sundal, I am trying to post few new recipes for Ganesh Chaturthi and ladoo makes really great idea. 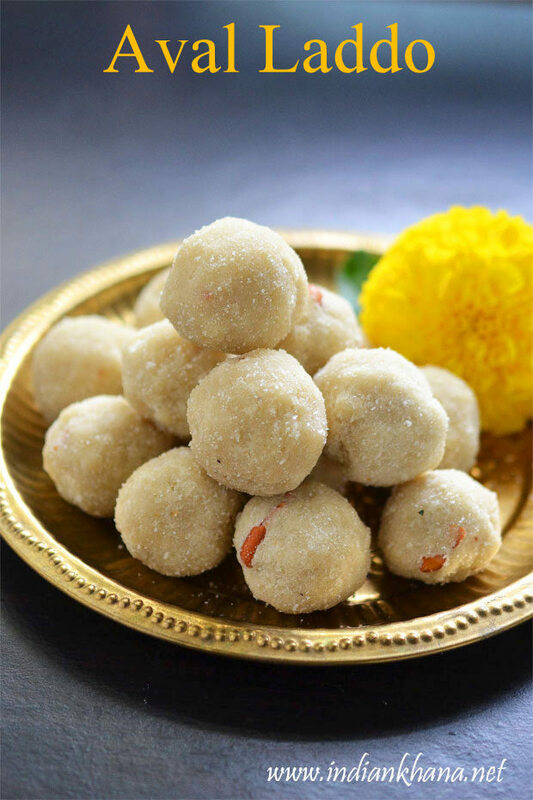 If you don't have much time in hand and rushing for office then these poha ladoo can be great option for you as we can prepare this ladoo in jiffy without any fuss. This ladoo is also suitable for all age even we can feed to small kids. 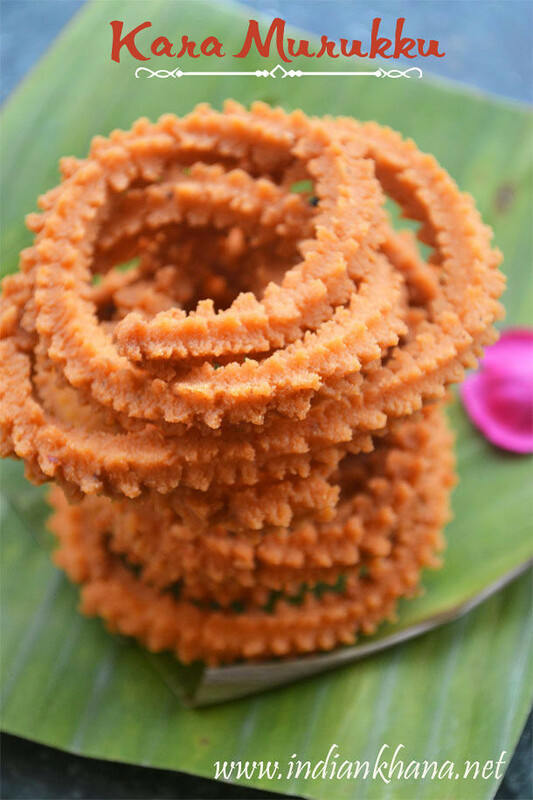 I have already coconut laddo recipe which is super easy made with only 2 ingredients and another coconut khoya laddo with gulkand surprise, and coconut burfi recipe, you can try any of these ladoo too for Bappa and celebrate chavithi. 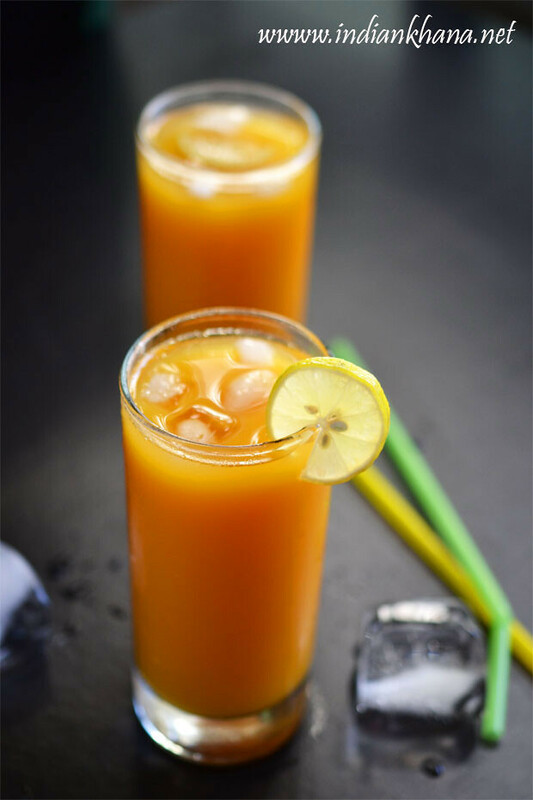 You can list of recipes which you can try for Chaturthi here. 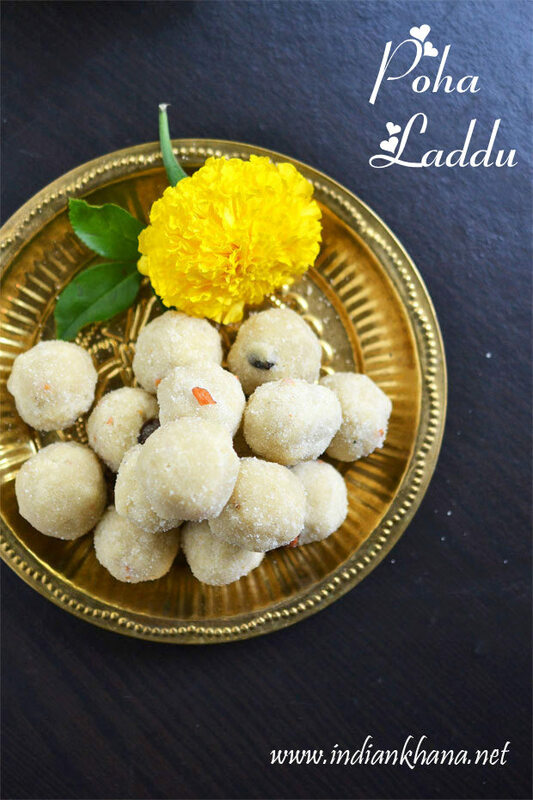 Easy and delicious ladoo with flattened rice flakes,sugar, ghee and nuts. 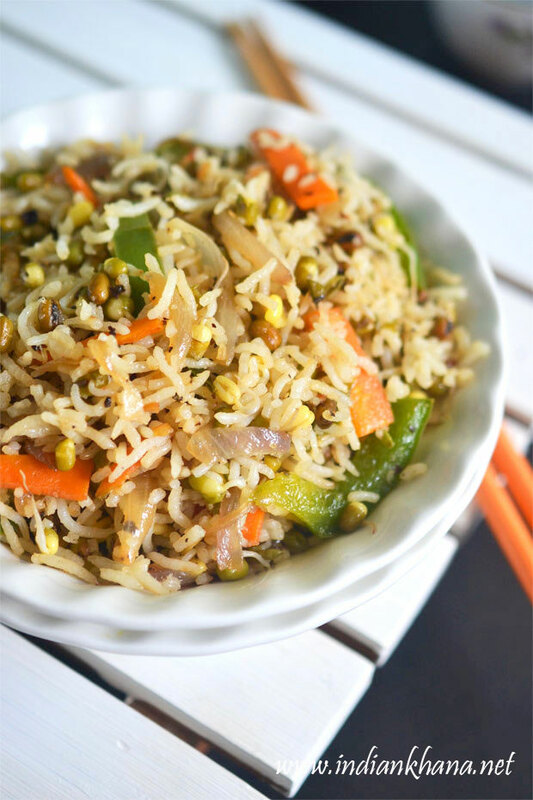 Clean and dry roast poha in a pan or kadai dry roast until golden brown. Once poha becomes hot kee stirring regular to avoid burning, allow poha to cool and grind into fine powder (powder has to be very fine otherwise ladoo won't taste good). 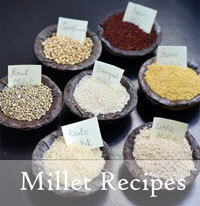 Grind sugar with cardamom seeds into powder. 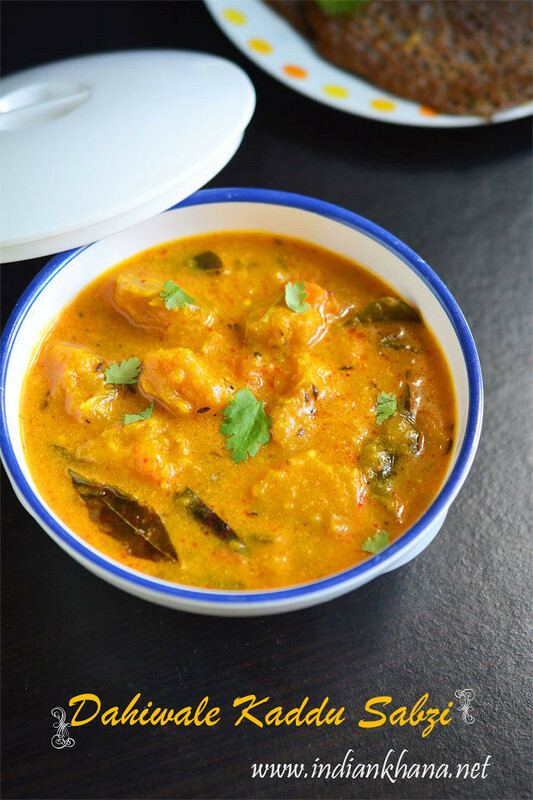 Heat ghee and add finely chopped cashew nuts and roast until light brown. 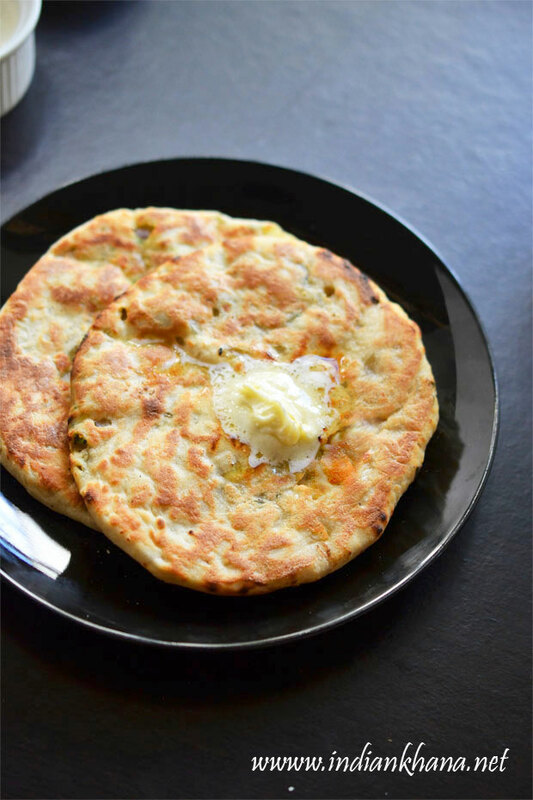 Add raisins and fry till fluffy. 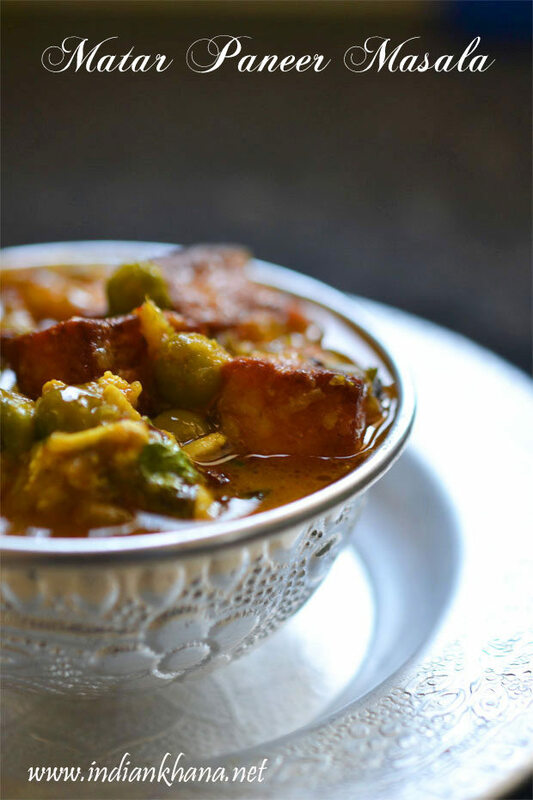 In a wide bowl add poha flour/powder, powdered sugar, melted ghee with fried nuts and mix everything well to combine. 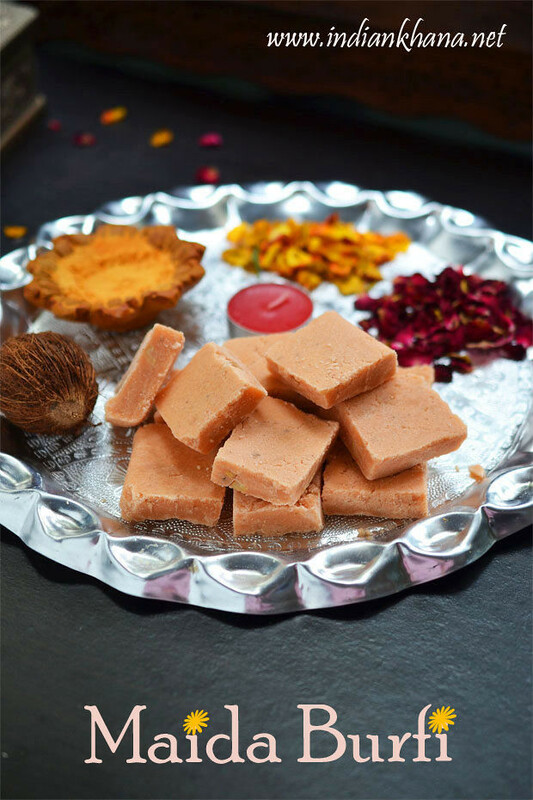 Take small portion of mixture and roll to make ladoo of all. 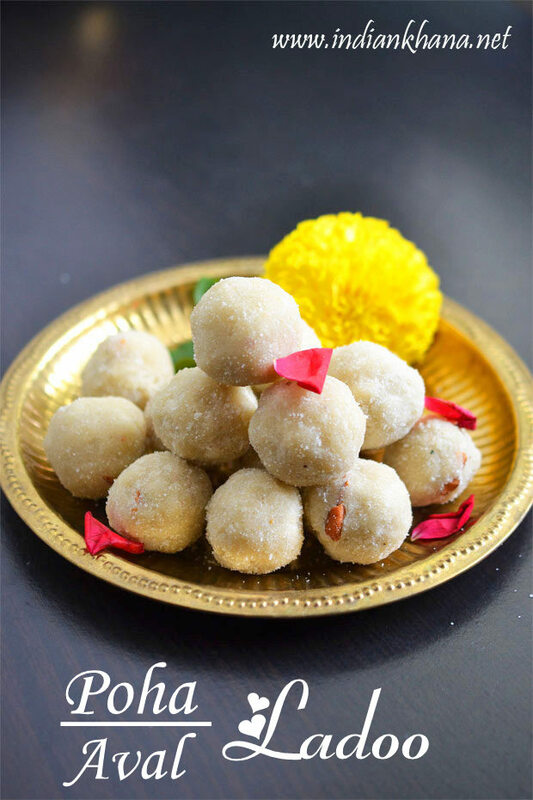 Store with arrange in single layer in a air tight container, this ladoos stays good for a week. Roast poha/aval well and grind finely. Chop cashewnuts in very small pieces, if not, shaping ladoo will be very difficult. 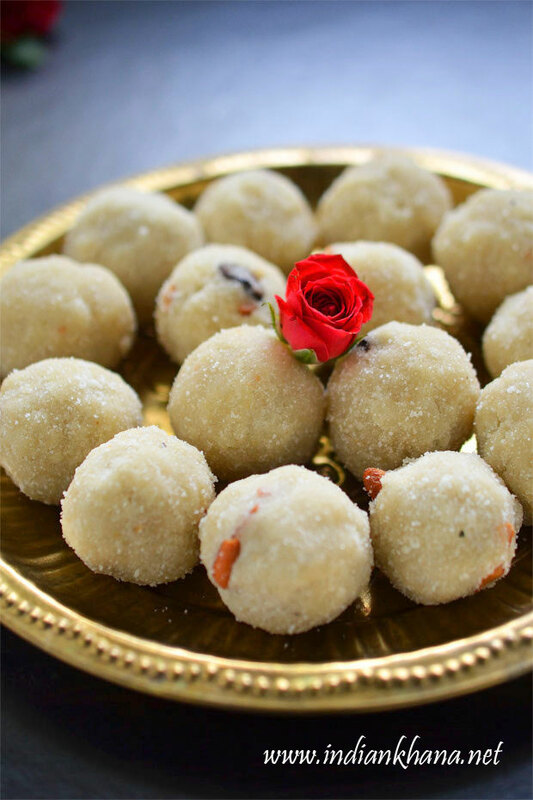 Cardamom powder adds good flavor to the ladoo so don't skip it. 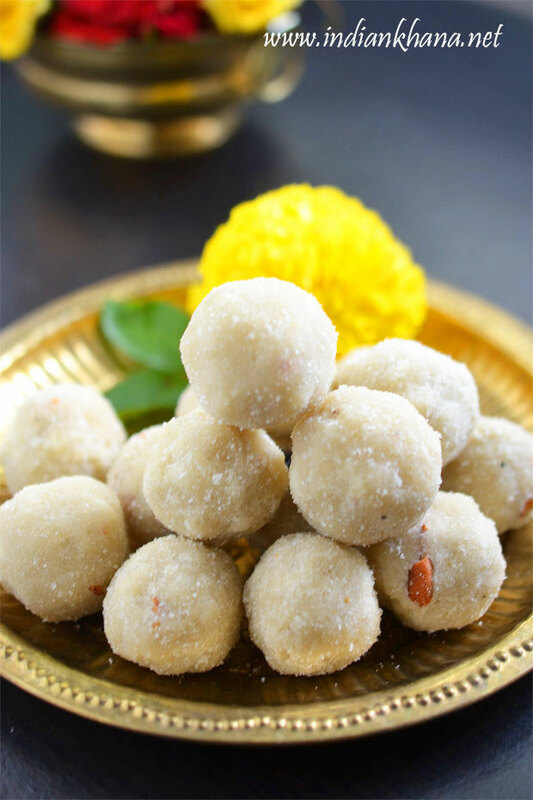 Easy and quick poha ladoo for festival season.